This article first appeared in The Edge Malaysia Weekly, on October 22, 2018 - October 28, 2018. IN spite of its economic success story, Malaysia’s income inequality has widened. And it is set to worsen if proper policy responses are not forthcoming. That is the critical underlying takeaway from The State of Households 2018 (SOH2018) report by the Khazanah Research Institute (KRI), which was released last week. Themed “Different Realities”, the report reveals that while relative inequality has decreased, the absolute gap between the rich and the poor has grown larger. 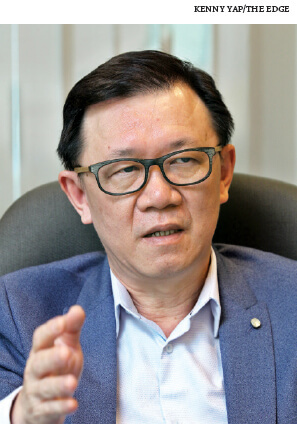 A deeper issue is that upward mobility — the ability to rise to a higher economic position — has become much more limited today, says Dr Nungsari Radhi, an economist who is on the KRI board of trustees. 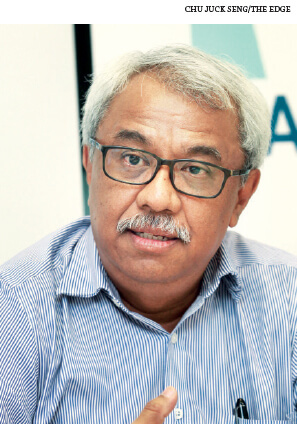 “I had a better trajectory for upward mobility 50 years ago in Bayan Lepas than a six-year-old me in Bayan Lepas today,” he says during a panel discussion after the launch of the report. Speaking to The Edge, Nungsari clarifies that while access to educational and economic opportunities used to be the ticket to a better life, it is not necessarily the case any longer. If the implication is left unaddressed, the widened income gap among Malaysian households over the past decade will likely grow wider over successive generations. To be fair, the statistics show that Malaysians are, very generally speaking, better off today than their parents or grandparents. For example, the national poverty rate has fallen from about 50% in 1970 to 0.4% in 2016. Over the same period, the national median household income has grown 6.4 times to RM5,228. Access to sanitation facilities, electricity and piped water is now nearly at universal levels, and likewise for school enrolment. And the Gini coefficient, which measures inequality, has been falling as well, from a high of 0.513 in 1970 to 0.399 in 2016. However, despite the narrowing inequality, the actual income gap between T20, M40 and B40 households has nearly doubled over the past two decades. 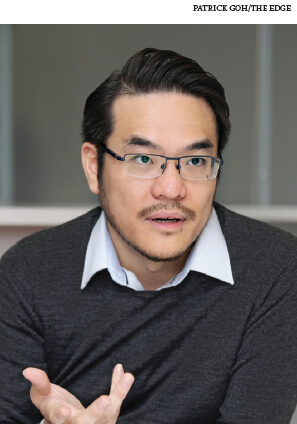 Allen Ng, the lead author of SOH2018, explains the contradiction as an outcome of how inequality is measured. In a nutshell, inequality seemed to be narrowing because the M40 and B40 households are growing their incomes at a faster rate than the T20, but in reality, it is slower in absolute terms owing to the high base effect. Ng says the biggest factor associated with household income levels is education. A head of household with tertiary education earns 3.6 times more than one without a certificate. Here is one critical issue facing the nation: uneven access to quality education. It is a given that higher income households generally have greater access to superior education than lower-income families. Consider households earning below RM2,000 spending up to 95% of their income on necessities, leaving RM76 on average for everything else. In contrast, households earning over RM15,000 only spend up to 45% on essentials. To make matters worse, lower-income households are deeper in debt and their borrowings are not for wealth creation. Over half of all debt for households earning below RM5,000 monthly involves vehicle and personal loans. This means higher-income households are more able to invest in better-quality education for themselves and their children — an advantage that often translates into higher income prospects. As an aside, such households are also better able to save and invest in wealth creation, further widening the wealth gap. For example, the top 13% of Employees Provident Fund members own 47% of active savings while the top 8.9% of Amanah Saham Bumiputera unitholders own 80% of its RM145.9 billion fund. Interestingly, the number of international schools had nearly doubled from 66 in 2010 to 126 in 2016, an education ministry official revealed last year. In terms of job creation, KRI notes that between 2010 and 2017, Malaysia produced more tertiary-educated workers than those of any other education level. However, most of the jobs created over the same period were in the semi-skilled categories. “This points to a possible significant mismatch between native labour demand and supply,” KRI observes. In the event of greater competition for a relatively smaller number of jobs, the quality of education is invariably a potentially decisive advantage. “The 20-year-olds who get the good jobs are those from the upper-middle class background. If you are well trained and educated, you are a global talent that can monetise yourself anywhere,” says Nungsari. While education access in general has improved for Malaysians, KRI notes that there is much room for improvement. “Despite Malaysians receiving 12 years of schooling, students receive only nine years worth of schooling after adjusting for education quality,” says SOH2018. In other words, the current trajectory is one of a widening income gap over generations in a perpetuating cycle of inequality. It is worth noting that Malaysia is not alone. Similar issues of inequality and how individual starting points in life being increasingly influential in terms of economic prospects are becoming hot-button issues globally. 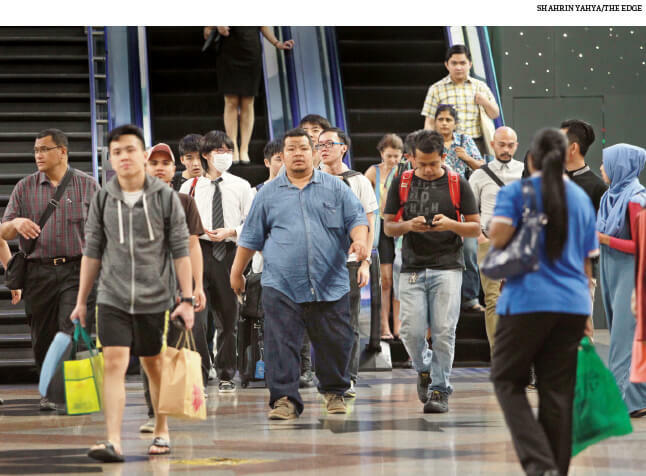 For Malaysians of below tertiary qualification levels — they make up 70% of the workforce — an additional issue is the prevalence of foreign workers in the country. At 2.2 million strong, foreigners make up 15.5% of the workforce. Nearly all, or 95.2%, are low-skilled or semi-skilled. A 2013 World Bank report notes that the least educated and lowest-skilled Malaysians are under pressure from job displacement and wage suppression. “Based on the latest available statistics, close to one million Malaysians are in this category, many of whom are in the rural areas. This is not a small number,” says KRI. He adds that since household incomes differ greatly across the country, policies — particularly on welfare, housing and education — must consider threshold differences across states to be effective. But formulating such policies in a targeted manner is easier said than done. As a snapshot, urban households earn 80% more than rural households. The income range that defines the T20, M40 and B40 also vary greatly from state to state — for instance, a T20 household in Kelantan may earn as much as a B40 household in the Klang Valley. Socio-Economic Research Centre executive director Lee Heng Guie. He adds that these households spend 37% of their income on food, 25% on housing and 12% on transport. “Hence, stable prices of these three major components as well as healthcare will free up some savings for investing,” Lee tells The Edge. And while a myriad of policy options can be looked at, ultimately, efforts should be aimed at facilitating a shift in mindset among the lower-income households, he says. “Overdependence on government assistance is not sustainable; they have to become self-reliant. That is pivotal to breaking away from the low-income trap,” he adds. On the flip side, Nungsari believes that public policies should aim to uplift the demand side so that employers are able to pay higher wages. “We need to create businesses and firms that pay good wages. For that to happen, firms have to be competitive regionally at the least,” he says. That question is at the heart of a recent economic discourse on the challenges facing Malaysia as she seeks high-income status. A 2017 research commissioned by the PNB Research Institute found that Malaysia had failed to ascend the value chain into higher-value activities even as it transitioned prematurely into services-driven activities. Another contributing factor is that Malaysia lacks local technology creation compared with other nations, which hampers growth, according to a 2015 International Monetary Fund paper. This is evident in that about two-thirds of the Malaysian workforce is employed by small and medium enterprises, but SMEs lag significantly behind large enterprises in terms of productivity and technology investments. A KRI paper presented during a Bank Negara Malaysia Economics Research Workshop last November noted that labour productivity in large enterprises is 2.5 times higher than that in SMEs. In a nutshell, addressing inequality is invariably tied to Malaysia’s economic trajectory. While the 11th Malaysia Plan mid-term review last week set a new deadline of 2024 for the country to achieve high-income status, the urgency now is to ensure the average Malaysian prospers too by then. “If we keep on talking about this and not land on substantive and real policies that [can] change the outcome, the trajectory does not look good,” stresses Nungsari.